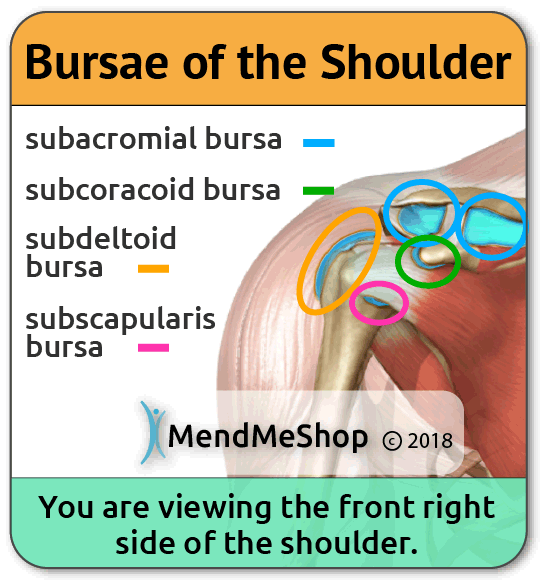 Bursae (plural for bursa) are flattened fluid-filled sacs that function as cushions between your bones and the muscles (deep bursae) or bones and tendons (superficial bursae). A bursa will reduce friction and allow your soft tissue to slide over bone effortlessly during muscle contraction. They are lined with synovial cells that secret fluid that is rich in protein and collagen and act as the lubricant between areas in your body where friction (rubbing) is greatest. These sacs form in areas where 2 surfaces in your body, most often where a bone and tendon or a bone and muscle, rub together during movement. When pressure or friction is too great, excess fluid can build up in the bursa sac causing inflammation. When a bursa becomes inflamed, moving the affected area becomes very painful and movement can be difficult. Any actions that put pressure on the inflamed bursa can increase irritation and cause further inflammation and pain. There are approximately 160 bursae in our bodies, however, not everyone has the same number of bursae. Bursae can also vary in size from one person to the next and may become larger over time. Some bursae occur naturally and some occur as a result of excess rubbing in a particular area. 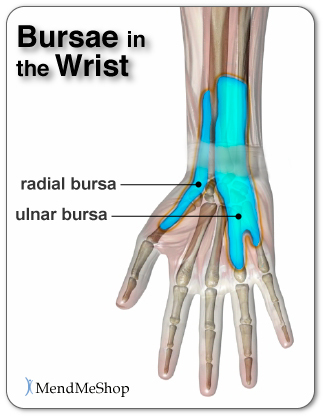 These bursae form initially to protect the area from the minor trauma. The major bursae are located adjacent to tendons and muscles near larger joints, such as in the shoulders, elbows, hips, and knees. However, not all tendons have a bursa and they can also form in smaller joints like your toes. Your bursae play an important role in leading a healthy, active life. When the bursae are not irritated and working properly, your joints move smoothly and painlessly. 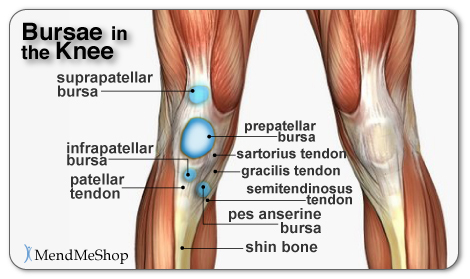 However, when a bursa becomes swollen and inflamed, the condition is known as bursitis. As you know, when you suffer from bursitis you will experience pain during physical activity. Stress, overuse, injury, or prolonged pressure on a bone can cause trauma to the soft tissue in a joint including the bursa. Injury to the bursa can result in widening of the blood vessels in the sac. This allows foreign fluids, blood and proteins to enter the bursa. When this occurs, the bursa reacts by swelling and you experience pain in the joint, especially when pressure is applied and during movement. These symptoms will continue until the fluid and/or proteins leave the bursa or they are broken down. Chronic trauma bursitis refers to repeated minor injuries to the bursa that occurs in one spot over time. It can be caused by repetitive motion, prolonged pressure on a joint, or an abnormality in the body that causes excess friction. With repeated injury, the bursa becomes irritated and thickens over time. Working in a profession or enjoying a hobby that requires repetitive motion puts you at an increased risk of developing bursitis. For example hip bursitis is common in runners, shoulder bursitis in baseball players and painters, and elbow bursitis is often suffered by those who enjoy a frequent game of darts. As you repeat the same motion the bursa becomes over worked, irritated and eventually inflamed. 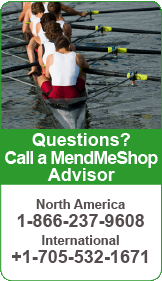 Wear and tear due to prolonged pressure on a joint can also cause bursitis. 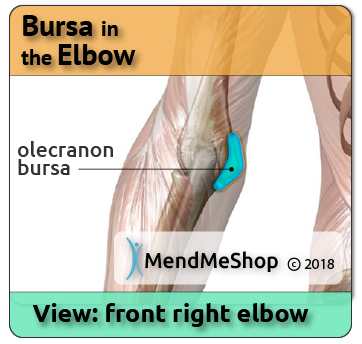 For example, resting your elbows on a table can cause olecranon bursitis (also known as student's elbow) or sitting on a hard surface for extended time periods can cause ischial bursitis (also known as weaver's or tailor's bottom). You may experience prepatellar bursitis (also known as housemaid's knee) if you are a carpet or tile layer or a gardener. Similarly, figures skaters or women wearing improper footwear are at risk of developing retrocalcaneal bursitis or Achilles bursitis. This type of bursa trauma usually occurs in athletes who overuse a joint or during middle age as wear and tear over the years begins to take its toll on our joints. Abnormalities in the body that can cause excess friction can also cause increased irritation in a bursa. An example of this would be a mineral deposit, such as calcium, in a joint that rubs against a tendon or muscle. Other situations that may cause irregular friction in a joint are bone spurs, a loss of cartilage, or an abnormal bone growth such as a hooked acromion in the shoulder. When these obstructions exist, minor traumas within the joint occur over time, the bursa can become inflamed and the first signs of bursitis begin to develop; pain, swelling, and stiffness. Acute trauma bursitis refers to bursitis caused by a direct blow to or twisting of the joint. For example, something as simple as an awkward fall may cause you to bang your hip or elbow, or you might bang twist your knee or ankle causing the bursa to be pinched. These types of injuries can cause serosanguineous discharge, a fluid composed of serum and blood, to leak into the bursa. Serosanguineous fluid causes irritation and inflammation in the bursa and surrounding area resulting in pain and swelling. Symptoms of acute bursitis are redness, tenderness of the joint, swelling & pain. 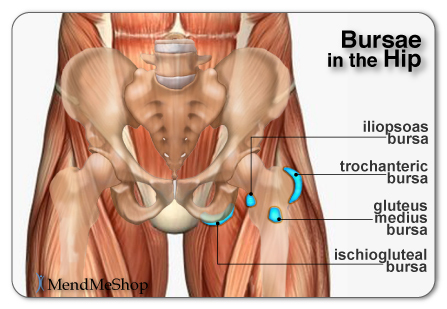 Tenderness and pain will usually increase when you push on the bursa. If the bursitis is recent, redness and tenderness may take a few hours or a few days to appear. 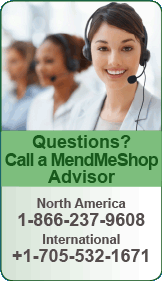 If your bursa becomes infected it is referred to as septic bursitis. Septic bursitis is usually caused by a bacteria know as staphylococcus epidermis (or staphylococcus aureus) that is commonly found on the surface of the skin. Bursae that are located just below the skin are more susceptible to infectious bursitis due to abrasions on the skin covering the bursa. With infectious bursitis the bursa fills with pus instead of blood or fluid and the area surrounding the bursa appears read and is very tender. Medical conditions such as rheumatoid arthritis, osteoarthritis, scleroderma, gout, thyroid disease and diabetes can increase the risk of developing bursitis. These conditions can cause crystal deposits (gout) or calcific loose bodies (rheumatoid arthritis) to form within the joint causing irritation and inflammation in the bursa and surrounding tissue. For example, bursitis is common in people with gout because of their inability to properly break down uric acid which is a natural by-product of metabolism in the body. When it is not broken down properly, the excess acid begins to crystallize and settle in the joints. In situations where bursitis has developed due to infection (aka "septic bursitis") you must see a doctor for prescribed antibiotics and possibly drainage of the bursa. However, bursitis caused by trauma and/or deposits in the joint can be treated at home using a conservative treatment protocol.